Since its creation in 2006, Twitter has seen immense growth—averaging about 310 million active users per month. As the forefather of the hashtag (refer to my previous blog on the importance of the hashtag), Twitter is not only a popular social media platform, but it can also be a great business tool, if and when it’s used properly. 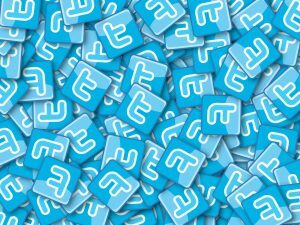 Why is Twitter Important for Your Business? Twitter can be an especially valuable tool because it provides organizations with an opportunity to gain a larger audience and potentially new customers if used efficiently. Using a Twitter marketing strategy can be an excellent way to promote your goods and services while also interacting with your audience. Because Twitter is such a valuable branding tool, I’ve come up with five tips on how to use Twitter for your organization. This is an important tip for any organization. Knowing what your brand is and how to market that brand is the best way to gain new customers. Maintaining your brand image through a Twitter marketing strategy and all other marketing tactics is critical. Using Twitter for business means that everything on your organization’s Twitter account needs to align with the brand image you portray on every other social media platform, as well how your organization promotes itself in all other communications. Every part of your Twitter page should reflect your organization’s brand guidelines. Profile images should be consistent with your brand image. A simple way to do this is to set your profile picture as an image of your logo. Similarly, your background photo should reflect your brand. These images can be used for Twitter and all other social media accounts. Consistently using the same images across all social media platforms makes it easier for potential clients to find you. If all of your images are in sync, there will be no question in the client’s mind on whether or not they are on the correct organization’s page. Your brand isn’t only seen through the images you display on Twitter. Anything posted on behalf of your organization should reflect your overall brand image. For example, writing a bio or summary on your Twitter for business page looks professional and can attract followers to your messages. Your bio should be engaging, concise, and should state your organization’s mission or purpose. All of your Twitter posts, comments, retweets, and any other text reflect back on your organization. Therefore, they should all be created in one voice, and that voice should be one that you feel best represents your brand. Using Twitter for business requires strategic and integrated marketing planning. Having a Twitter marketing strategy can be helpful when planning how to post to the page. Planning posts ahead of time can allow you or your colleagues to make sure every post maintains one clear voice. Whether your Twitter for business page has a humorous personality or is more informative, it is important to maintain that same manner throughout. Similarly, any retweets or comments should also reflect the views of your organization and maintain the same voice as your tweets. A Twitter for business page should include a bio that explains the company, and also maintains the same voice as any other post on the page. Twitter only allows its users to write 140 characters per post, so use them wisely. Creating a brand image can be difficult to begin with, but it is even more challenging when you’re limited to such a small amount of text. The allotted 140 characters can be even MORE limiting when you include a link to your organization’s website or any other relevant links. Therefore, it will be greatly beneficial to use a URL shortener. Links to website pages can be very lengthy, and URL shorteners can consolidate the number of characters used up by a link. Although Twitter’s character limit may seem like an obstacle, it is also one of the great attributes of the site overall. Being able to describe your organization and its purpose in a limited amount of space is a great branding technique within itself. This usage of only 140 characters can help cut out the “fluff,” and get to the point. When implementing your Twitter marketing strategy keep this in mind. All posts should be clear, concise, and void of any unnecessary language. Twitter is the forefather of the widely used hashtag symbol. Although it’s probably not a good idea to #hashtag #every #word #in #your #tweet, Twitter is a great platform to use this tool. It is important to research hashtags before you use them. 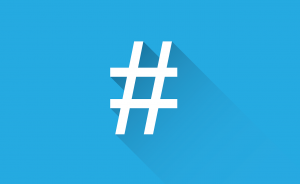 If a hashtag is trending, using it could result in increased reach and interaction on your post. However, you first need to learn what that hashtag means and/or to what it references. Once you’ve done your hashtag research, using this grouping tool can help new customers view your Twitter page and might even grow your business. Although using hashtags isn’t helpful on all social media platforms, it is definitely a benefit of Twitter. You have a Twitter for business purpose. You manage and nurture your Twitter account to develop business. Therefore, it’s important to remember that no matter what you post via Twitter, it should bring attention back to your organization and its products and services. Having a Twitter marketing strategy will help keep these goals in mind. Twitter and other social media help you engage with your existing customers and to promote your brand to new customers. Marketing to both existing and new customers are critical components of increased sales. What makes Twitter for business great is its ability to connect clients and consumers to the brands they know and love, and expose clients and consumers to new brands they want to know more about. 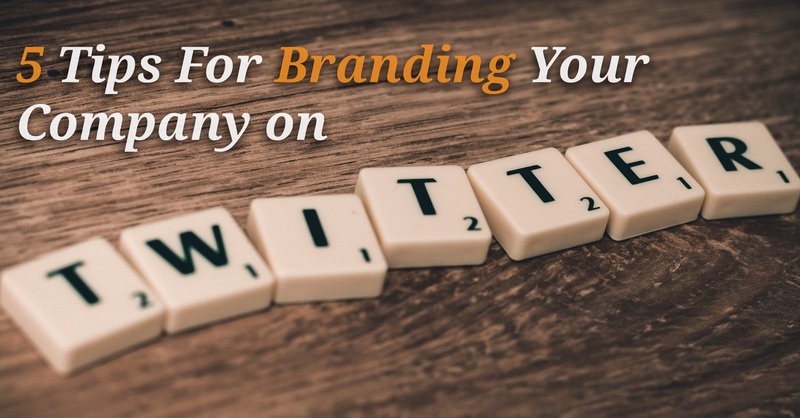 We hope these five branding tips for Twitter help your organization succeed. What makes a Twitter marketing strategy successful in your opinion? Comment below, and share some of your tips on organization branding through Twitter!